Napolcom Regional Director Josephmar B. Gil said Napolcom geared this year’s observance to the adoption and immediate implementation of the Community and Service-Oriented Policing (CSOP) System. The CSOP system will serve as foundation of crime prevention strategy, Gil said. “This year’s celebration intends to focus on building collaborative partnership among the community, law enforcement agencies and local executives through the adoption and implementation of the Community and Service-Oriented Policing (CSOP) System, with the end in view of creating a more revitalized, secure and safe community,” Gil said. Gil noted that the CSOP system is undertaken through the collaboration and cooperation of the local executives, the citizenry, and the integrated law enforcement agencies. “The CSOP system aims to bolster a system of coordination and cooperation among the triumvirate composed of the police local executives and community through the complementation of funds, personnel and logistics for the effective delivery of basic services to the community,” he said. 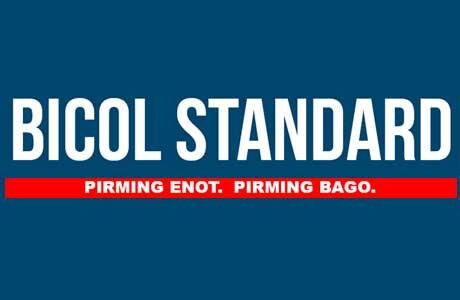 For Bicol, Napolcom is mounting a series of information drives to amplify public awareness and further strengthen partnership among the community and individuals or groups that have an investment, share, or interest in law enforcement and crime fighting. The 23rd NCPW and 117th year of Philippine Civil Service were jointly launched last Friday, Sept. 1, in simple rites at the Bicol University by the Napolcom and the Civil Service Commission. On Monday, Sept. 4, the Department of the Interior and Local Governments will lead the whole-day NCPW Information Caravan at Ayala Malls, featuring one stop information shops, distribution of government’s information campaign materials and showdown of government musical bands. The showdown among the PNP Combo of the Philippine National Police, Firelane Band of the Bureau of Fire Protection and Reformer’s band of the Bureau of Jail Management and Phenology, is set in the afternoon at the Ayala Malls. Before the band showdown, a forum dubbed “Ugnayan para sa Ligtas at Payapang Pamayanan” will take place at the same venue starting at 1 p.m. The forum will deal with crime prevention tips, updates on the intensified drug campaigns, drug awareness and prevention and fire prevention tips. Student Crime Prevention Committee officers from secondary schools in Legazpi City will convene on Sept. 5 at the Ibalong Conference Hall, Legazpi City Hall compound. On top of the topics are crime situation updates in the city, legislative updates and plans for the youth, project double barrel basic concepts, guidelines and procedures of mandatory drug test for students, drug abuse and prevention, basic constitutional rights of the youth and salient provisions of anti-bullying and anti-hazing law. Rounds of “Ugnayan sa Barangay” fora will also be conducted between Sept. 1 and 7 in various barangays in the province of Albay to intensify information dissemination on crime prevention and drug clearing campaigns. Member agencies of the NCPW technical working group plugged the upcoming events over the “Aramon Ta Daw” radio program of the Philippine Information Agency last Aug. 29. Updates on NCPW celebration and on programs implemented by member-agencies will be aired on Tuesday, Sept. 5.